About Us - Lights Up Arizona! David is third-generation in the entertainment and lighting business. His grandfather was a gas man at the Metropolitan Opera House in New York City, when the footlights used gas for illumination. His grandmother was a Ziegfeld Girl during the 1930s, appearing in a number of Vaudeville shows of the era. David’s father was a lighting consultant and worked with Jackie Gleason – “the great one” – among other entertainers. David followed in the footsteps of his family, pursuing a career in the lighting industry with a focus on the architectural market. 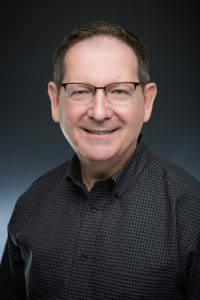 He has worked on projects that have received the “International Illumination Awards of Merit and Excellence.” Many of his lighting projects have been published in a variety of lighting publications, including a number of which appeared on the cover of “Lighting Design and Application”. 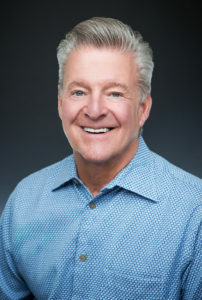 In addition, David has taught lighting design and techniques on the college level, along with appearing as a guest speaker for many lighting seminars. He has been a member of the Illuminating Engineering Society of North America for over 30 years. David also maintains a membership as an Industry Partner of the American Society of Interior Designers, and as an Affiliate Member of the American Institute of Architects. He brings a broad range of knowledge in specialty lighting as Principal of Lights Up Arizona. Andrew received a Bachelor of Science in Business Administration from Indiana University. Andrew brings many years of experience to Lights Up Arizona with a background in Business Administration, Customer Service, Sales and Service Account Management and until 2016 as a Senior Business Analyst for a global business-to-business travel commerce and technology company. Andrew was introduced to the lighting industry in 1989 and he now makes it his full time career. Deb comes to Lights Up with over 20 years Operations experience in distribution. Deb worked for a fortune 500 distribution company here in the valley. Deb managed departments such as Material Management, Purchasing, Process Improvement, Customer Support and Quality Control. Patty is a graduate of Collins College in Tempe, AZ, receiving a Bachelors degree in Interior Design. Member of the ASID North Student Chapter as representative to the board. Prior to working with the team at Lights Up Arizona!, she held various positions in the retail business and visual management. She spent 5 years as a Showroom Manager at Corporate Interior Systems.